Conventional interior heating systems of vehicles utilize waste heat from the engine in order to warm the passengers. The heated air is blown into the cabin via numerous small openings requiring a high air mass and sometimes 7kW to ensure the required amount of heat is in the passenger compartment. Such systems often create uncomfortable cold spots inside the passenger compartment and require fairly long periods of time until the engine reaches temperatures high enough, to deliver enough heat for an acceptable comfort level. Furthermore, the future in the Automotive industry goes more and more towards electric vehicles, which have almost no waste heat available. Therefore, an alternative solution to waste-heat systems has to be provided. By the high energy efficiency of our system, where electrical energy is directly converted into heat energy, the energy to be expended can be significantly reduced. Similar to our aircraft cabin heating systems, Villinger car interior heating systems rely on the implementation of our heater layer directly into the cabin parts. With a special installation method, the 0,2mm thick heater layer is applied on the blank parts and can be covered with any kind of soft or hard finishing material, desired by the customer. Therefore, several interior parts such as seats, door panels, trim panels, instrument panels, headliners, e.g. are converted into large-scale IR radiators, without changing their shape or appearance in any way. By converting 99% of the electrical energy into heat, our heating elements reach the desired operating temperature within seconds after activation. With our energy efficient battery heating systems, we are serving civilian and military customers, enabling them to operate their vehicles under extreme climatic conditions. Since low temperatures reduce battery life and capacity drastically, thermal management of the battery module is crucial for ideal operation. Our battery heating systems are suitable for several kinds of cell types, with a focus on pouch cells and cylindrical cells. 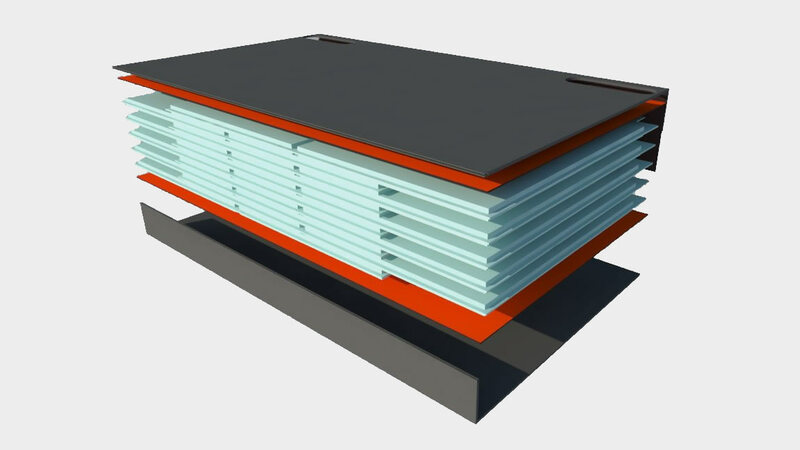 Therefore, with different system interfaces and integration methods for the heater layer, our battery heating systems can be adapted to almost any kind of battery module and are the ideal solution for all kinds of energy storage systems.